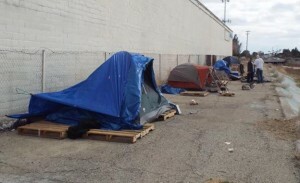 LOS ANGELES – The Los Angeles County Board of Supervisors Tuesday approved $9 million in Measure H funding to be distributed to 41 cities countywide (including Lancaster and Palmdale), aiming to promote community-centric solutions to homelessness. Supervisor Hilda Solis said cooperation across municipalities is key to solving the problem of homelessness. Two-thirds of the $9 million — to be paid out over 18 months beginning in January — will fund projects to increase the supply of interim and permanent housing. The remaining $3 million will be spent on efforts to enhance homelessness services. The total for any one city is capped at $600,000 unless some dollars go unused at those levels. The board also asked the Los Angeles Homeless Services Authority to set aside an additional $3 million of state homeless emergency aid funds to support the city plans. Solis called for innovative ideas. “We know that magic solutions do not exist, but we can make a difference if we all roll up our sleeves, and come together to work creatively and collaboratively with the intent of helping our most vulnerable residents,” she said. In a letter to the board, county CEO Sachi Hamai identified a shortfall of $89 million — or 25 percent — in overall Measure H funding for upcoming fiscal year 2019-20 as a result of a three-month delay by the state in collecting the new tax dollars. That delay didn’t affect spending in 2017-18 and 2018-19 because board allocations anticipated a ramp-up of services, according to Hamai. But the board has preliminarily approved $432 million of Measure H spending in the year beginning July 1, 2019, and will be facing a gap based on current tax collections. Hamai said her office would be considering options to bridge that gap as part of the county budget process. 7 comments for "L.A. County OKs $9 million in Measure H funding for cities"
If the homeless out here are starving and looking for shelter, they should just go up to a cop and kick him in the leg or spit on his shoe. They’ll get their shelter and three meals a day inside an air conditioned brick house. They might get tazered or pepper sprayed but hell, they’ll eventually have there shelter. Have you been to L.A. County Jail? It might be bearable if you are a tattooed up gang member, then you can just sit around playing dominoes with your homies, but it will not be a fun place for your average homeless person – I know because I have been there while homeless. If they track you down and beat the living snot out of you, then turn themselves in, they will get more time without the tazering and pepper spray…and some people will consider them heroic. Shipping container homes/ complexes might offer both interim and permanent housing solutions. Shipping containers sound like they would be hot in the summer and cold in the winter. And remember, the more help you give the homeless, the more of them will come. Recycled shipping containers are being used in many places, and it is a wonderful idea. There are many homeless that are willing to be helped out of their hopeless situation to become productive members of society. I know, I am one of them. Some aren’t ready to be helped yet, but many are ready. The smartest people in the world can’t solve this. Stop throwing money at it.